In 1098, Hildegard was born the tenth child of a noble couple. In those days, it was traditional for the tenth child to be given to God. Hildegard was taken to an anchoress named Jutta, at a very young age. An anchoress lived alone in a small room connected to the church to pray and study. Jutta taught Hildegard all that she could, but she was not her only teacher. 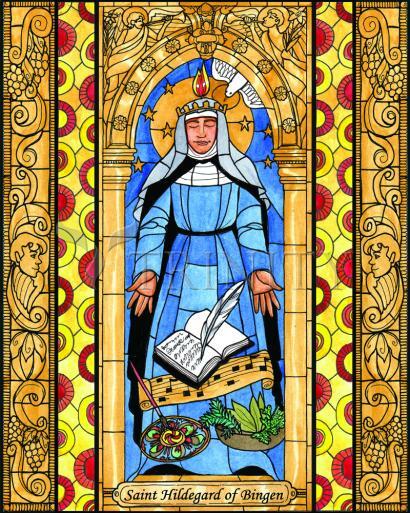 From the age of three, Hildegard had been having visions from God. As she grew older, they became more intense and showed her many things about God, the natural world and man's place in it.